Permits aggrieved parties to approach HC against eviction notices. 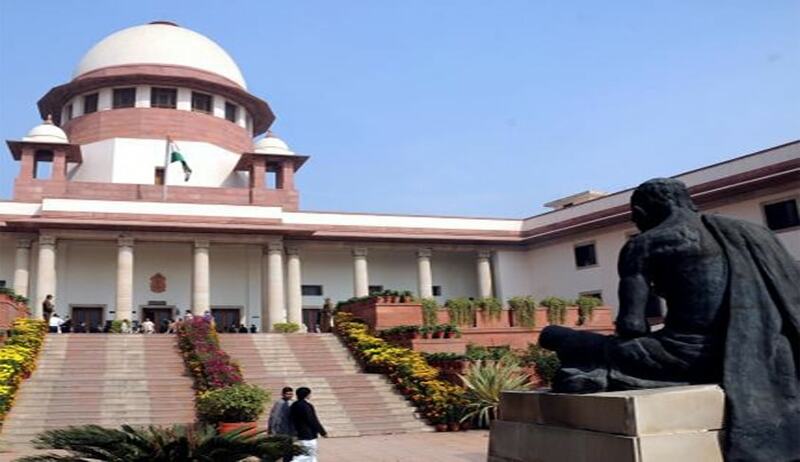 The Supreme Court has stayed the Uttarakhand High Court order which directed removal of all encroachments and assumption of possession by the railway authorities on a land located in Haldwani, Nainital. The apex court permitted the aggrieved parties to raise their grievance before a division bench of the high court. A Bench comprising Chief Justice of India JS Khehar and Justice DY Chandrachud passed these orders in a special leave petition filed by individuals, who contended that approximately 50,000 people were residing in the area, and would be affected by the orders passed by the high court and none of them were issued notices, or were heard before the high court. The petitioners contended that the high court was not justified in straightaway directing the authorities to remove the alleged encroachments without allowing them to first conduct demarcation proceedings over the said land. Thousands of occupants, who have been in occupation of the land for last several decades, cannot be evicted otherwise than due course of law, they urged before the court. Considering their submissions, the apex court bench permitted the aggrieved parties to move appropriate applications before the high court, and added that such shall be examined by a division bench of the high court. “The course adopted by us, would ensure that an eventual order would be passed, only after the petitioners have been afforded an opportunity of hearing, and their individual contentions have been taken notice of,” the bench said. It also directed the high court to dispose of all such applications, within a period of three months, with effect from 13.02.2017.